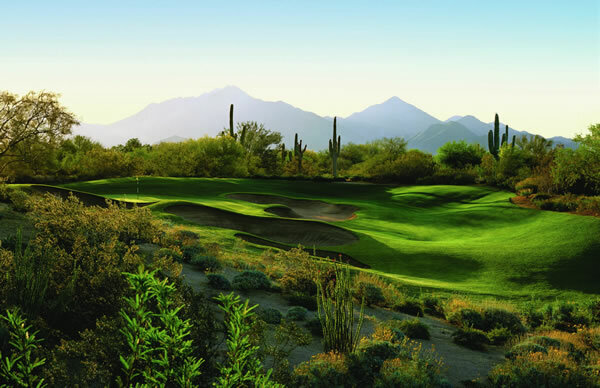 Grayhawk Golf Club opened in 1994 and immediately soared to the top of the must play list for Arizona. 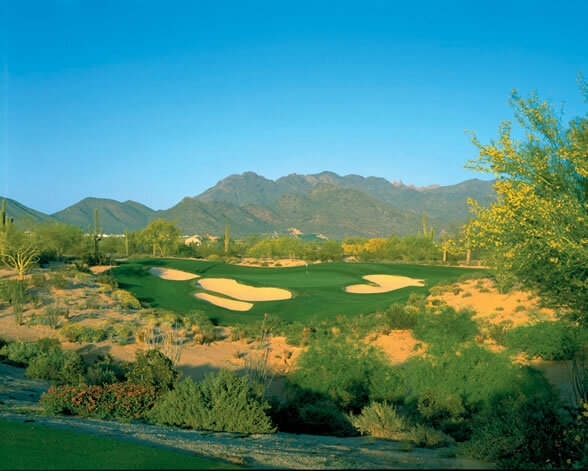 Boasting 36-holes of desert golf, Grayhawk Golf Club is a high-end facility that provides excellent customer service, superior course conditions along with remarkable facilities. 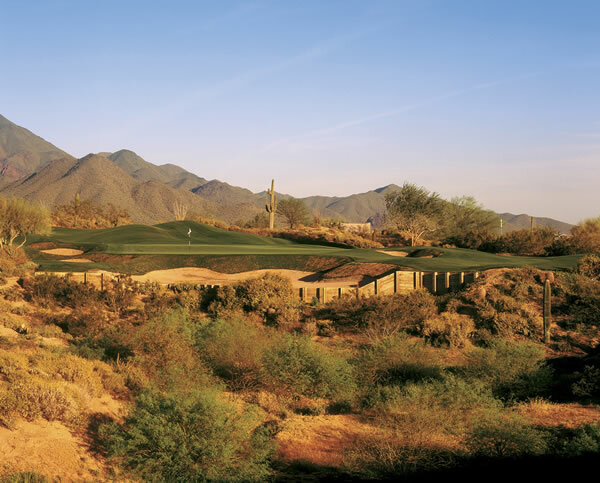 The Talon course provides breathtaking views of the McDowell Mountains as well as the Phoenix Scottsdale skyline. The fairways are more narrow than its sister course and lined with thick desert vegetation such as Palo Verde, Mesquite and ancient Saguaros. The back nine is built around a series of deep box canyons. When teeing off; the fairways appear smaller than they really are. The greens, on the other hand, are large and multi-tiered for a more challenging short game. The Raptor course is more of a risk/reward game of golf as it winds over hills and across shaded washes. The fairways are generous; however, beware of the many fairways bunkers lining the course. The greens are large with adequate undulation, which sets the stage for a more complex green. Raptor is considered to be more difficult than Talon by a couple of shots. This is because Raptor’s bunkering and longer par 3’s make this course a tough challenge for any level of golfer. From Phoenix Sky Harbor Airport: Follow the airport signs to the Loop 202 E. towards Tempe. Merge onto Loop 202 E. and continue 3.7 miles. Merge onto Loop 101 N. via exit # 9. Continue 14 miles and exit on Princess Dr. / Pima Rd. via exit # 36. Stay straight to go onto Pima Rd and continue 2 miles. Turn left onto Thompson Peak Pkwy. Follow signs to course.